ACA Systems is celebrating the 30 years in the business at PulPaper Exhibition in Helsinki 29.5 – 31.5. The company launched as well new innovative analyzer for paper & board coating optimization, ACAV AX100. ACAV viscometer was a breakthrough in 90’s and due to its ability to describe runnability of a coating color, the measurement became in industrial standard for paper and board coatings. Now it is time to launch brand new ACAV viscometer as technology has enhanced and the customer demand is clearly picking up. The new user-friendly analyzer makes the coating development and quality control easier than ever. Due to ultra-high shear rates provided by the analyzer, the rheology of the coating color can be studied in the real process conditions, having a very good correlation to actual coating runnability. This is extremely important for example in sustainable water based barrier coatings that are typically very challenging in terms of runnability. The first unit was sold to a global leading coated board manufacturer in Finland. Coating colors are rheologically complex materials. 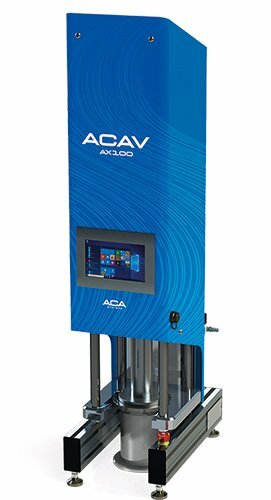 ACAV AX 100 measures viscosity at shear rates > 1 000 000 1/s whereas low shear rheograms that are commonly used in the industry demonstrate only low shear viscosity portion and can be extremely misleading when it comes to the prediction of coating performance or runnability on high speed coaters.